Washington State boasts fourteen distinct and impressive wine regions—and the state has an equally compelling history. The valleys, mountains, weather, and history permeate the depth and well-crafted taste of Washington State wine. Viticulture is deeply ingrained in Washington soil, like an aged Douglas Fir. Even before statehood in 1825, Hudson’s Bay vintners planted a first batch of grapes in Fort Vancouver. The rich and distinctive soil types throughout the state drew in immigrants from throughout Europe. By the twentieth-century, vintners were firmly established in premier areas in Yakima Valley and Columbia Valley. Inspiring scenery like Mount Rainer and the Cascade Mountains nourish the valleys and rivers surrounding Washington wine regions. Since European immigrants founded these grape-growing regions—the rest has been history and the Washington wine industry has flourished in several viticultural areas. There are several prominent wine growing areas in Washington State, three of which are: Columbia Valley, Ancient Lakes, and Yakima Valley. These comprise some of Washington’s most lucrative and prestigious AVAs. A staggering eleven million acres are contained in Columbia Valley—producing the bulk of Washington wine. Located east of the Cascade Range, Columbia Valley experiences warm weather and seasonal rain. These dynamic climatic conditions produce a variety of Red, White, and Rosé wines. Although Ancient Lakes is much smaller and found within the much larger Columbia Valley AVA, it exhibits a dedication to quality and nuanced viticulture. The Ancient Lakes wine growing country is nestled among hills and lends to unique soil conditions. This region is renowned for award-winning sauvignon blanc and chardonnay varieties. Columbia Valley is a seminal wine region within Washington State—and home to Hudson’s Bay vintners. The rugged Cascade mountains provide a dynamic backdrop for this region’s long history. Columbia Valley is home to 10 AVAs and a bounty of wineries, who ship their signature wines to all fifty U.S. states and forty different countries. Washington State wine has a wide and influential reach world-wide. However, distinctive Washington wine speaks for itself, with an abundance of tastes and personalities. Each of these three appellations in Washington have been ingrained in the vintner culture of the state. With fourteen distinctive regions and hundreds—if not thousands—of different wines to try throughout the state, these three wines hold the title as some of the best that the team at VinMaps enjoy. Columbia Valley produces an intimidating amount of wine to sample and taste. Merlot wine varieties propelled Columbia Valley’s reputation as one of the finest AVAs in the state. The Chateau Ste. 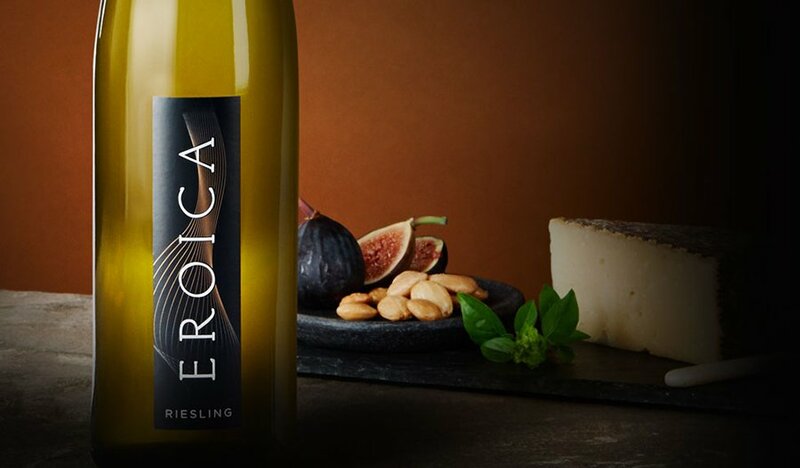 Michelle Eroica Riesling should be on the list of every wine lover searching for a fantastic white wine from Columbia Valley. Its versatile taste and balanced dry tone draws in many wine drinkers seeking a Washington State classic. Not to mention, it’s affordable—around $20 a bottle from Total Wine & More. White varieties compliment the rather arid regions of Ancient Lakes. Milbrandt Vineyards produces a stellar chardonnay called The Estates Chardonnay. The fragrant aromas of pear, apple, and corn delightfully compliments the budding spring season in Washington. 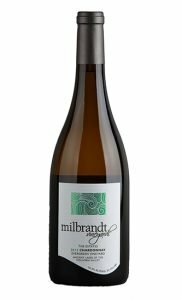 Milbrandt is prized for its lush fruit palettes that contrast the full-bodied reds of Columbia Valley. The succulent fruit flavors of Ancient Lakes is a Washington signature taste that competes with the state’s larger wine regions known for bolder wines. Last and certainly not least, Yakima Valley produces game-changing wines that speak to its long and rich history. It is hard to nail down just one great wine in Yakima Valley and its legacy is still evolving. 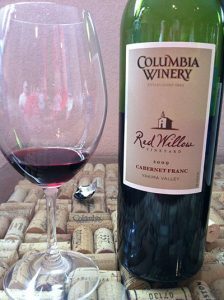 Red Willow is a formative vineyard that produces classic Cabernet Sauvignon blends, which were first introduced in 1973. Any of its eleven vintages are likely to please viticulturists. 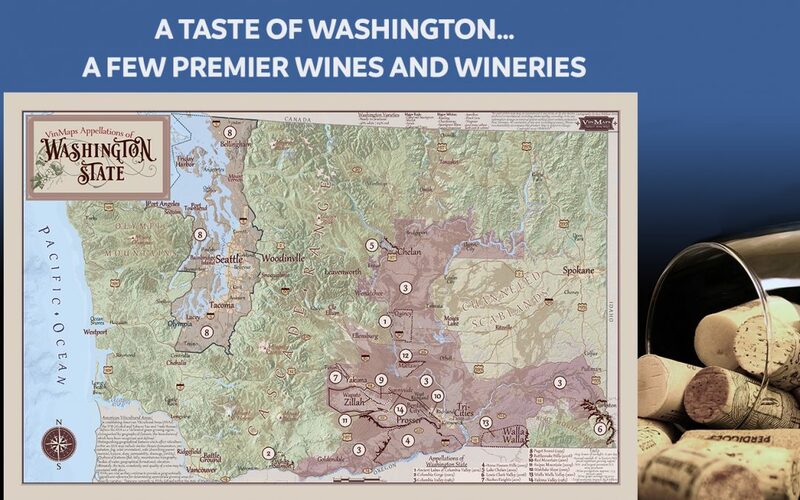 Discover all that the Washington State wine regions offer in our collection of wine maps. Swirl, sniff, and sip from your favorite stops in Washington wine country and gaze at captivating accounts of over 800 wineries and 14 Appellations in our Washington Wine Country map. 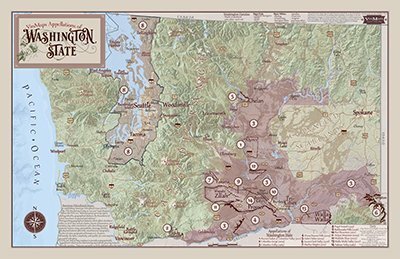 For a smaller look at the Appellations of Washington State, explore our Tasting room map. Perfect for a winery or wine tasting party.